that crack! You thought that they other was was cool? PSH! Now it's even cooler :), it's cooler than a winter night in NYC! 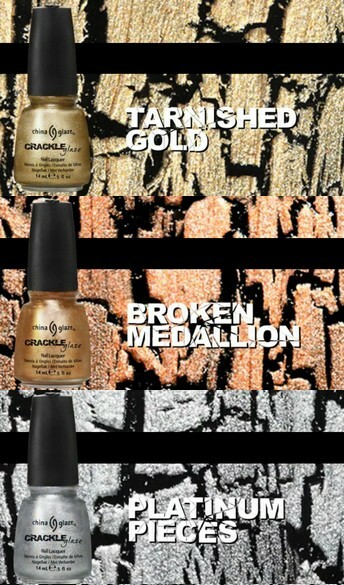 The "Crackle Metals" Collection featured 6 metal-like cracking nail polishes. Not sure how much they will retail for, most likely the same price as their other collections. To my knowledge, the regular crackle nail polishes retails for about $6 at Sallys Beauty Supply. But it might cost less at other stores. I reeeeally want the Bronze Medallion, Platinum Pieces, and Haute Metal nail polishes. Are you looking forward to this summer collection? Are you tired of the "Crackle/Shatter" Trend? I've seen this trend everywhere..i dont think it will last long but I love the look of the metalic ones! Thanks so much for sharing. I love these! 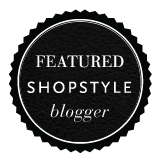 I already pre-ordered ;) Thanks for checking out my blog! This trend is so fun!